As you’ve no doubt seen from our social media pages (if you aren’t following us, make sure to head over to Facebook and Twitter to find out what we’re getting up to! ), we’ve been doing a lot of work with Aspire Housing to promote digital skills amongst older adults and help residents to get online and make the most of the devices they have. From offering guidance on the different functions on their mobiles or their tablets to the many different apps and programs available, we’ve been working with older adults to establish their digital needs and to make sure that they have the necessary digital skills to achieve their personal targets or aspirations. 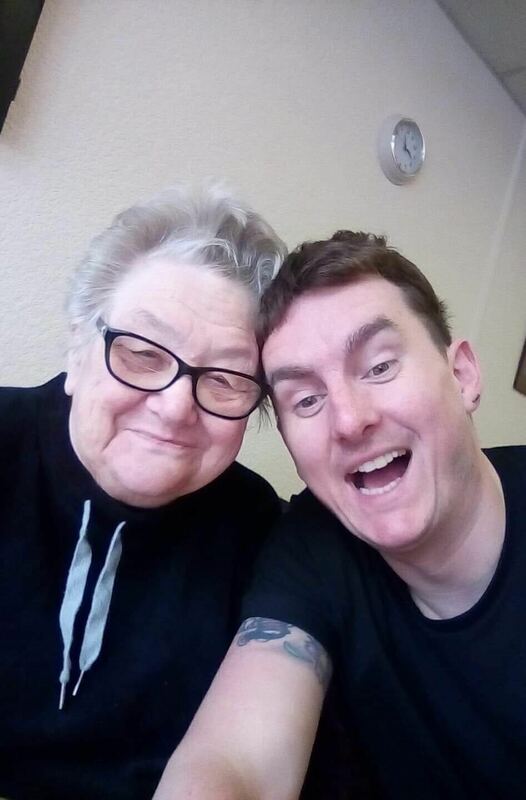 Whether it be reconnecting with family and friends through video-calling and instant messaging or learning how to take photographs and shop online, we provide the necessary support and training for residents to achieve their goals. DigitAll aims to connect older adults with technology and to teach them the necessary digital skills to get online and make the most of their devices. We continue to work alongside Aspire Housing but we’re also expanding, offering information, advice and guidance about digital health resources and visiting numerous locations across the region and beyond- from supermarket car-parks to community cafes. Yet, why is it so important that older adults have the chance to learn basic digital skills? After all, many older adults choose not to engage with technology, so why should time and attention be given to teach them digital skills? ITV Tonight’s recent programme ‘Priced out? Older and Offline’ highlighted the need for older adults to be able to get online- most noticeably due to the shift in communication and the transition of services onto the internet. The programme states that ‘the biggest group of non- internet users in the UK are the over 65’s - there’s 4 million of them who are not online’ and, frankly, we don’t think that’s right. If we also consider the rising rate of loneliness amongst older adults (as discussed in this Independent article, here) and the numerous digital methods we can use to communicate, we have a duty to use the digital skills and knowledge that we have to try and improve people’s lives and well-being. Wavemaker will continue to support older adults to get online and teach the necessary digital skills to make sure that they can receive the same benefits of technology and digital resources as everyone else. To find out more about DigitAll, including how you might be able to get your community group or clients involved, visit our products page.